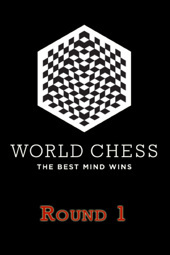 hairulovchessmaniac: FIDE Candidate's Round 1: "The Best Mind Draws"
FIDE Candidate's Round 1: "The Best Mind Draws"
The first round of the FIDE Candidates held in London last night ended in 4 draws in all boards. It looks like all 4 player play cautiosly and would like to start their campaign safely. All the games start with queen pawn opening ( except Ivanchuk-Grischuk which start with 1.Nf3 but transpose to d4 set up later). I wonder what's wrong with 1.e4 which former World Champion and the late Bobby Fischer label as best by test! Official site is here with wonderful video coverage with commentary! As usual, you can rely on chessbase and chessvibes for the tournament intensive report.